A rose is a subdivision of the larger category of flowering plants, which are defined by their ability to produce flowers. Therefore a rose is considered to be just one type of the many different kinds of flowers that occur all over the world. Flowering plants are subdivided into two groups monocots (Liliopsida) and dicots (Magnoliopsida) that are based on whether the seed embryo produces one or two leaves, when it first sprouts. Roses are part of the dicot grouping. 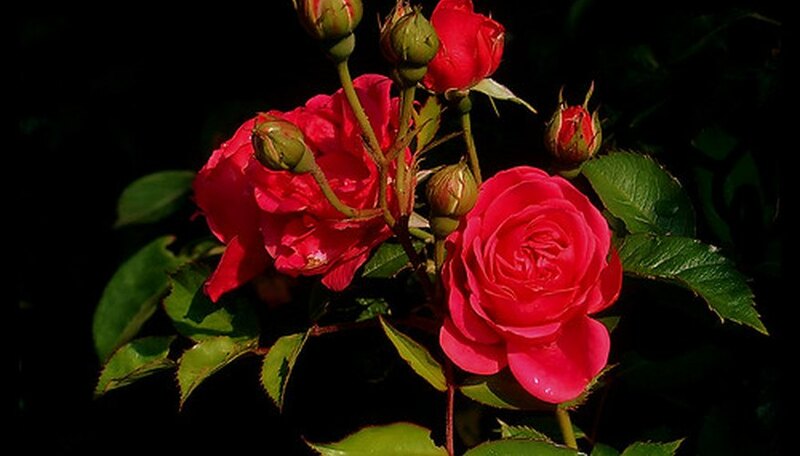 The garden rose comes from a very large family of plants, scientifically called the Roseacea or the rose family. This plant family is very diverse and includes many plants and trees besides the common garden rose. The rose flower, which is found in all plants of the rose family, typically has five sepals and five petals with many stamens that surround the pistil. The ovary can be one compound unit or come in the form of several simple ovaries. The petals are free and not fused and often are quite large and showy, as in the garden rose. Within the rose family there are many popular edible fruits that form from a rose-like flower that blooms in the spring. Cherries, apples, pears and strawberries are all part of the rose family. Within the Rosaceae there are over a hundred different genera of flowering plants. The genus Rosa contains the garden rose which comes in many species and a extraordinary number of genetic variations. Bauholz, Henri. "What is the Difference Between a Rose & a Flower?" Sciencing, https://sciencing.com/difference-between-rose-flower-5707596.html. 24 April 2017.